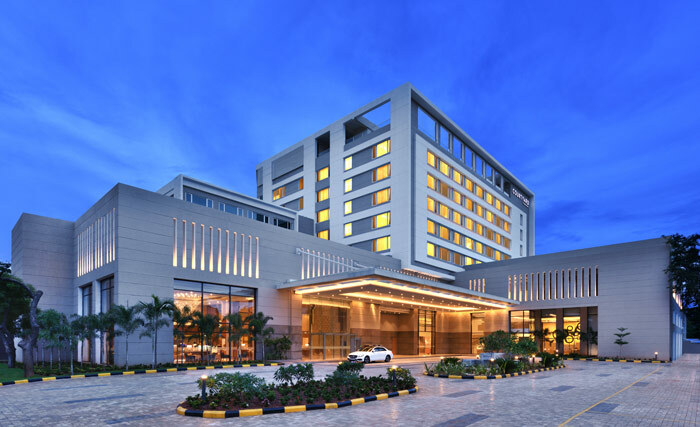 Situated just 5 km from the Rockfort temple, Sangam Hotel in Trichy contains over 90 executive rooms with 3 star amenities set to international standards. Avail pickups from the Trichy airport (5 Km) and Railway station (1 km). 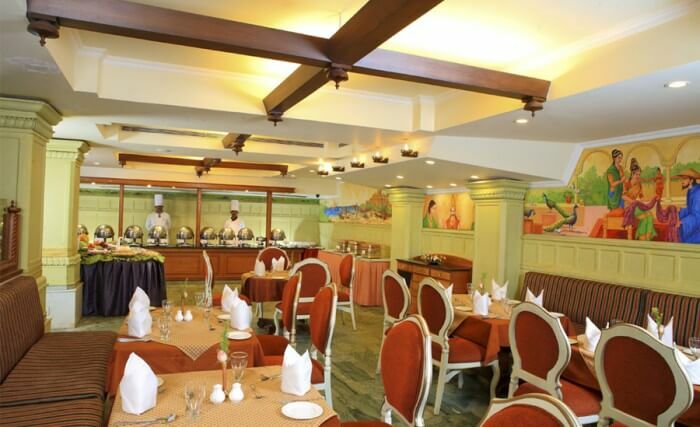 Situated amidst the temples of Thanjavur, Sangam Hotel embodies tradition embedded with modern day amenities. 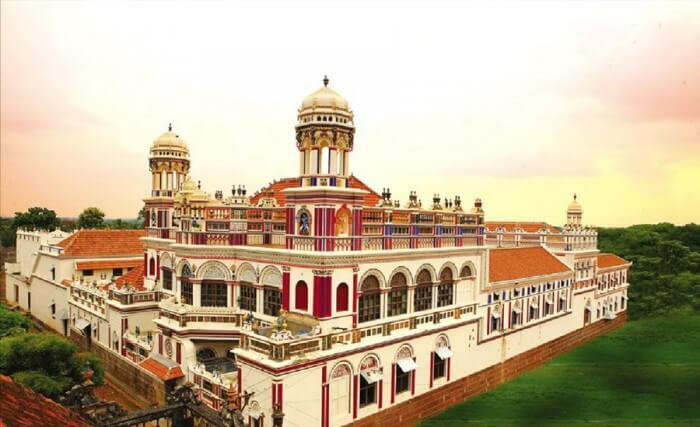 Sangam Hotel in Thanjavur provides the best means for our visitors to experience the cultural essence of the city. The new state-of-the-art lobby at Courtyard provides greater flexibility and choices for our guests. At the center of lobby you get the taste of Southern India with an international blend at The Madurai Kitchen, your destination for a great breakfast, or drinks and dinner during the evening. You’ll also enjoy inviting, flexible spaces where you can work or relax, free Wi-Fi throughout and easy access to the latest news, weather and airport conditions via our GoBoard technology. Plus, our well-equipped fitness center, indoor pool and whirlpool will help you stay refreshed and energized. Whether traveling for business or pleasure, your stay at Courtyard is sure to be more comfortable, more productive and more enjoyable than ever before! Chidambara Vilas is a boutique offering from the Sangam Group, providing you a rare insight into the ethnology of the Chettiars. We provide an authentic experience enabling you to relive the lifestyle of the “Nattukottai Chettiars”. The Sangam group was established at Trichy in 1975 and has grown over the past two decades to become one of the landmark brands in the cities of Trichy, Madurai and Thanjavur. The Sangam group is identified through its star rated hotels at central locations in these cities. Sangam has distinguished itself in the service of the millions of tourists who visit these cities, which are renowned indian cultural destinations and ancient cities with iconic architectural and archeological locations. After a gap of a decade, I landed in Hotel Sangam. Its same hospitality, enthusiasm and commitment. Stayed for a night, but a very comfortable, soothing stay. Will love to come again. We stayed for a night at the Sangam Trichy last month.The rooms are very spacious and well furnished..Interior decor is good .Breakfast and meals were tasty and we had a good spread in the buffet breakfast. The entire family with parents including my twin infants (6 Months old) have been to this hotel for a couple of nights stay. Good rooms were allocated and the staff are very helpful and friendly. They might not mention complimentary breakfast while you check in but you do have one. 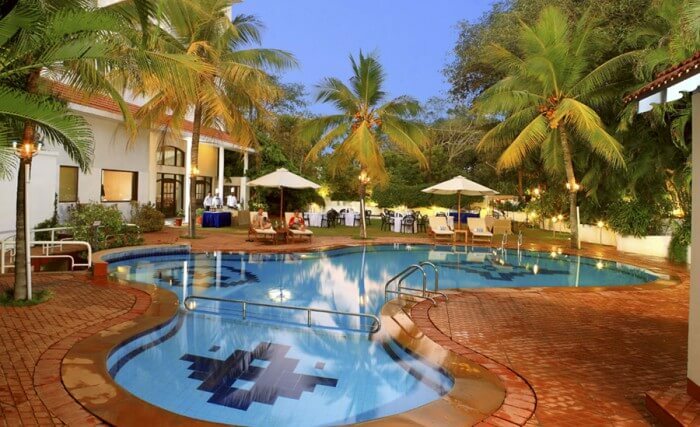 This hotel was a wonderful retreat in the hustle and bustle of Tanjore. Rooms were a decent size and very clean. The setting of the pool and garden attractive. We ordered Sangam Tali lunch. food was excellent.The Famous Brahdeeswara Temple is very close to hotel. Nice location.